Sun, surf, star dining and impeccable style — Sydney has it all. Here, we deliver a comprehensive guide on what to see, and where to eat, stay and play in the Southern Hemisphere’s hottest luxury destination. 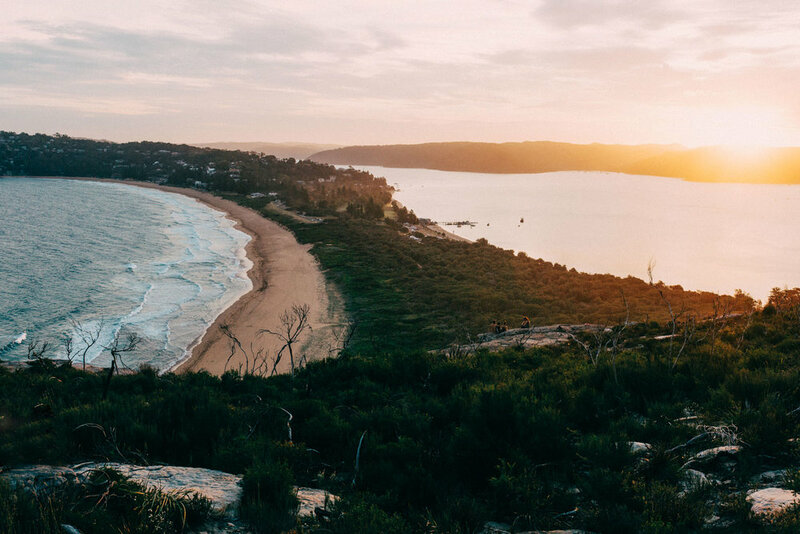 If there is one place which perfectly encapsulates the phrase “where the city meets the sea”, the stunning harbour oasis of Sydney — Australia’s largest town, and the crowning capital of New South Wales — unequivocally takes the title. Artfully ensconced among swirls of sapphire ocean, and beautifully draped around stretches of sandy coastline, sunburnt cliffs, pristine coves and grassy parks — the distinctive skyline of this modern metropolis unites majestically with nature to greet visitors with an exquisite visual masterpiece on arrival — promising adventure, discovery and a paradisiacal escape to remember. Recognised as one of the world’s most attractive destinations, this historically young supermodel of a city could arguably seduce travellers based on stunning looks alone — but its geographical beauty is just an opener to the extraordinary experience that awaits those who set foot on its striking, sun-kissed shores. Offering a unique fusion of first-class living and cosmopolitan culture, with a leisurely lifestyle vibe which is lauded the world over, Sydney’s magnetizing appeal as a singular luxury hotspot has long defied its far-flung location — 8-20 hours from most international airports — and the city continues to turn heads amongst affluent jet-setters from all over the globe. Last year alone, the city attracted more than 8.8 million international visitors, and its permanent ultra-wealthy population is projected to increase by 70% over the next 10 years to 2,091 UHNWIs — a statistic which continues to coax prestige international brands from Bottega Veneta, to Tiffany & Co, Louis Vuitton and Longines to launch new stores there in recent times as they move to stake their claim on its increasing appeal, and cater to the city’s top spenders. At its core, is Sydney’s beating corporate heart, referred to as the Central Business District (CBD), with the busy main artery of George Street running through it (which has just been made pedestrian-friendly); and around it — in the area which spans from the scenic ferry port of Circular Quay, to the historic domain of The Rocks, and the touristic hubs of Darling Harbour, King St Wharf and Cockle Bay — is where you’ll find some of the city’s most iconic architectural landmarks. It’s hard to miss the famed silhouette of the Sydney Opera House with its distinctive, white sail-shaped contours on entry, juxtaposed across the bay by the equally famous (and impressive) Harbour Bridge, which connects the city’s urban side with its breezier Northern half, and provides a gateway to the sleepy, upper-class communes of Palm Beach, Avalon and Terrigal further up the coast. Reaching skywards from the luxury shopping complex of the Westfield city mall, overlooking the bustling retail strips of Pitt, Castlereagh and Market Streets, is the pinnacle of Centerpoint Tower – the second tallest observation tower in the Southern Hemisphere, and one of Sydney’s tallest structures, where visitors can enjoy 360-degree views of the city centre and the mosaic of suburbs around it, which have had it dubbed the “City of Villages”. Politically Sydney is divided in 38 local government areas, each consisting of several suburbs — and while each of these localities have their own unique atmosphere and local characteristics, for those on the hunt for the best Sydney has to offer in the luxury sphere, its hard to look past the key hubs of the CBD, Inner City and Eastern suburbs, along with a few select areas in the North. Closest to the CBD — off the beaten tourist track of Circular Quay, Darling Harbour and the like — the must-see essentials include the sophisticated finger wharves of Walsh Bay and Woolloomooloo, for evening shows at the prestigious Sydney Dance Company, paired with waterfront dining, cocktails and slick city vibes; while the trendy enclaves of Surry Hills, Darlinghurst, and Potts Point offer leafy laneways, cool bars and lively cobbled streets which are home to the city’s hip elite, and the fashion/media milleu. To the East, the chic, tree and terrace-lined streets of Paddington, Woollahra, Double Bay, and Rushcutters Bay provide a picturesque haven of boutique designer shopping, pretty cafes, and bespoke galleries and exhibitions, just steps away from some of Sydney’s most famous surf spots — including the magnificent Bondi Beach, brunch favourite Bronte, and the chic inlet of Tamarama (aptly nicknamed ‘Glamarama’) — all frequented by a breezy and beautiful crowd. For spectacular views in lush settings with style, the wealthy enclaves of Vaucluse, Watsons Bay and Nielsen Park on Sydney’s South Head peninsula are perfect for privacy and posh picnics by the beach. To the Inner West, the arty, alternative and music-filled areas of Newtown, Chippendale, Glebe, Balmain and Rozelle blend bohemian atmosphere, with historic pubs, quirky shops and antique storefronts, hosting a variety of eclectic markets on weekends which are a favourite for foodies and locals. North across the bridge, the quieter, upper-class communes of Milsons Point, Kirribilly, Manly and Mosman offer visitors a scenic escape from the hustle and bustle of the city, where breezy, al-fresco eating, pristine bays and tranquil surroundings are an intrinsic part of the package. Peppered across Sydney like natural emerald jewels are a selection of parks which offer cool and relaxing respite from the daily grind amidst lush greenery and grassy spaces — including Hyde Park in the heart of the CBD, Centennial Parklands en route to the Eastern beaches, and the Royal Botanical Gardens, famous for its jungle-set surrounds with stunning harbour views. Recommended day trips outside of the city include: an escape to the spectacularly wild and deliciously unspoiled Northern Beaches (Palm Beach is highly recommended); the Hunter Valley for a wine tour amongst acres of gardens and vineyards in one Australia’s most notable wine-producing regions; Hyams Beach at Jervis bay to walk along the whitest sand in the world; and the Blue Mountains or Royal National Park for forests, waterfalls and nature at its best. Arguably Australia’s cultural mecca, Sydney offers a diverse arts and entertainment scene, from the indomitable IMAX theatre (the world's largest cinema screen), to world-class performances, concerts and musicals hosted at the heritage-listed Enmore and State Theatres, and the Sydney Opera House; to native encounters with rare species at the Sydney Aquarium, and the Australian and Maritime Museums. Choice is no issue, but making a decision might be, so a browse through the city’s official event planner What’s On should be the first port of call for planning. Those searching for the more modern and avant-garde are catered to specifically, by the Powerhouse Museum and the Museum of Contemporary Art (MCA) — the latter of which recently played host to the immersive work of renowned Swiss artist Pipilotti Rist in her new exhibition, ‘Sip my Ocean’, which was exclusively on display within its walls. Also interspersed across Sydney’s cultural calendar are various festivals and events with international acclaim — the most prominent of which include Australia Fashion Week (in May); the Sydney Film Festival (held from 6–17 June in 2018); the 21st Biennale of Sydney, (Australia's largest contemporary visual arts event, held on Cockatoo Island in the center of the Harbour from March 18-June 5); the spectacular city-wide light and multi-media show of Vivid Sydney(May 25, 2018 – Jun 16, 2018); and the Sculpture by the Sea outdoor exhibition later in the year (October/November), which sees the two-kilometre coastal walk from Bondi to Tamarama transformed into a temporary sculpture park. In sync with Sydney’s increasing luxury appeal, the city’s luxury accommodation options have expanded beyond the grand dames of the Central Business District (CBD) — namely the five-star hotel chains of the Park Hyatt, Four Seasons, Shangri-La , Sheraton, and InterContinental — to give way to some notable bespoke offerings which offer style, class and comfort with a unique and innovative twist. A few highlights in this category include The Langham Sydney, Spicers Potts Point, Pier One in Walsh Bay, and the Ovolo Hotel in Woolomooloo, which has just launched Alibi (in March) — the world’s first vegan restaurant helmed by US chef, restaurateur and well-known plant-based pioneer Matthew Kenney. A little further afield, the stunning, four-star retreat of Jonah’s in Palm Beach offers the perfect base for a luxurious weekend escape to remember, and a relaxing getaway sure to refresh and recharge. Perched high atop the cliffs overlooking the breath-taking Whale Beach, Jonah’s is renown as one of Australia's most prestigious ocean retreats, and is comprised of an acclaimed restaurant — headed up by newly-appointed executive chef Matteo Zamboni — a heavenly pool, and eleven opulent rooms which merge cool, Hampton-esque allure, with sweeping sea views and impeccable interior design by baxter + thrum. Far from just a feast for the eyes, Sydney’s renowned reputation as a gastronomic hotspot precedes it, laying claim to a vibrant and varied culinary landscape which is powered by farm-fresh local produce, exotic native ingredients, sustainable cooking concepts, and experiential pizzazz by some of the best in the business. Enriched by its ethnic diversity and history of immigration, the city is a veritable multi-cultural melting pot of culinary choices, and from world-class fine dining, to modern Australian fare, to Asian fusion and fresh, simple dishes executed with flair, the foodscape here caters for every taste and fancy. Replacing Michelin stars in Australia’s culinary universe are ‘Chefs Hats’ distributed each year by critics from The Sydney Morning Herald Good Food Guide, and regulars in this ranking with three hats a piece are the exquisite fine dining establishments of Quay (run by executive chef Peter Gilmore and re-opening mid-July), and Sepia for impeccably executed Japanese-inspired plates. Also notable with Two Hats this year are: Aria (for modern Australian haute cuisine in a harbourside setting), along with The Bridge Room, Bentley Restaurant & Bar, Est., and the Bennelong restaurant at the Sydney Opera House, as well as Porteño in Surry Hills for perfectly-cooked steaks Argentinean style; and Firedoor, which will delight and surprise with its dishes grilled to order over an open flame. In contrast, rustic, farm-to-table fare is best done at CHISWICK Woollahra. There, a fresh menu awaits, geared towards sumptuous, country-style sharing platters, where every plate celebrates local produce picked daily from the on-site vegetable patch, and the signature lamb roast is sourced straight from the family farm of celebrity TV chef (and part-owner) Matt Moran. A light and airy bistro with a crisp fit-out and open, pavilion-style architecture, the vibe here is chic, yet convivial and communal, so you’re sure to enjoy a hearty meal while gazing out of the white-panelled, floor-to-ceiling windows that wrap around the restaurant and look out onto the beautifully landscaped gardens which have given it its name. For those seeking something similarly low-key, or hidden gems with a contemporary twist, the boutique-style restaurants of The Butler in Potts Point, Restaurant Hubert, LuMi Bar & Dining, Nomad, Pony Dining in The Rocks and the Lock In (a well-kept secret within the Grounds of Alexandria) offer innovative and international menus with extensive wine lists, and casual yet classy surroundings within minutes of the CBD. Seafood-aficionados can head to Catalina restaurant in Rose Bay, Doyles on the Beach or North Bondi Fish and Icebergs Dining Room & Bar for some of the freshest ocean fare in a stylish and relaxed venue with sweeping sea views to match; or Rockpool Bar & Grill and The Morrison Bar & Oyster Room for shellfish cooked to perfection and cocktails to match in the heart of the city. The small sandstone-walled eatery of Saint Peter in Paddington also gets a special mention for their dedication to sustainable seafood, dictated by the catch-of-the-day, and prepared expertly with minimal fuss. Lovers of Asian street food will enjoy wandering along Sydney’s lively Chinatown laneways and Spice Alley in Chippendale, adorned with paper lanterns and packed with an extensive array of exotic eateries open late into the night; while more opulent options in this category include China Doll in Woolloomooloo, Tetsuya’s (operated by world renowned chef Tetsuya Wakuda), Toko in Surry Hills, Momofuku Seiobo, Mr.Wong and Spice Temple in the CBD, for Eastern fusion in polished venues with five-star service. On a more casual note, to sample some of the best seasonal produce in the state in a vivid, local atmosphere, head to the Carriageworks Farmers Market at Sydney's historic Eveleigh Rail Yards where you’ll find over 70 stallholders, farmers & artisan producers showcasing fresh fruits and vegetables, artisan breads, Australian delicacies, and organic & bio-dynamic foods sourced from across NSW every Saturday from 8am to 1pm. Sadly, Sydney’s once vibrant Red Light district of Kings Cross — known for its nightlife — is now a shell of its former self, pummelled into lifeless submission by the controversial “lockout laws” introduced in February 2014. However, in its place is a relatively new entrant to the entertainment category — the city’s newest (and priciest) harbour foreshore playground of Barangaroo — the former container port which is being transformed into a 22-hectare financial, residential, retail, cultural and community destination, to the tune of an estimated AU$6 billion. The jewel of the complex — upon its completion in 2021 — will be the Crown Sydney casino and hotel, which will be the second legal casino in Sydney (the other being The Star), and become Sydney’s tallest building, as well as NSW’s first six-star luxury hotel. Definitely one to keep an eye out for — although the Barangaroo grounds as they are currently, already house all manner of arts, events and activities for day, and night. The Barangaroo South dining precinct, for one, is a destination on its own — a culinary wonderland which is luring top operators including Cirrus, The Meat & Wine Co., and Anason; as well as accommodating the robustious Barangaroo House — a three-level ode to contemporary Australian cuisine run by celebrity chef Matt Moran. Here, you’ll find “Smoke” — Sydney's newest rooftop bar with views to the city skyline and Darling Harbour — ideal for sunset flutes of champagne paired with a selection of caviar, sea urchin and waygu beef hors d'oeuvres on the menu. Wulugul Walk in the same complex is also home to Born by Tapavino, which is the perfect stop for those craving a bit of Spanish fire before or after a meal or event — here you’ll find a tasty array of tapas and share plates, with over 300 Spanish wines, sherries, & vermouths to match, in a stylish yet rustic ambience reminiscent of the El Born district in Barcelona. For cocktails you can’t go past Eau de Vie — considered Australia's best cocktail bar, and continuously ranked amongst the top 50 bars in the world — this dimly-lit, jazz-infused speakeasy is where alchemy in a glass is made. Tucked away behind the Kirketon Hotel, visitors are taken back in time as they swing open the doors and welcomed into an intimate 1920s den, complete with plush couches, leather stools and vintage décor, then treated to a long list of drinkable delicacies, including fine whiskies, exotic liquors and experimental cocktails born from dry ice and flames. If you can’t get a seat there, try The Baxter Inn, Lobo Plantation, Marble Bar at the Hilton or Palmer & Co for a similar speakeasy experience amongst a lively clientele; or Beta Bar, the Stillery Cocktail Lounge at the InterContinental Double Bay or Henry Deane at the Hotel Palisade, for elegant, serene spaces with a more modern touch. Wine connoisseurs will delight in the cosy, city-set gems of The Wine Library, Love Tilly Devine, Bibo Wine Bar and Monopole, each with their own unique yet sophisticated charm, expert sommeliers at the ready and bountiful, several hundred-strong selections of Australian and European wines, as well as a few rare and exotic drops to choose from.